...Well apparently not if you are aged between 13-17 years old and without access to social media. Worrying statistics from The Children's Society this morning reveal that a fifth of teenagers, who looked at social media at Christmas, said their friends were having a better time than them. 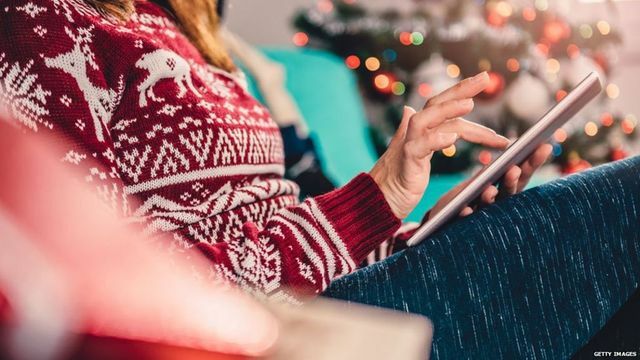 While one in four said they would not enjoy Christmas without social media. Forgive me if I sound old-fashioned but isn't Christmas supposed to be the time of year where family and friends come together, don a silly cracker hat, eat far too much, and joke about the awful presents your Nan bought you? Matthew Reed, The Children's Society chief executive, makes a valid point, though, in that social media acts as that 'important lifeline to the outside world' at a time when teens are away from their friends. But unfortunately, it seems as though the platforms that were supposed to bring people closer together are actually pushing people away - despite being in the same room. We've heard a lot this year about the negative effects social media can have on young people's wellbeing and mental health. The #StatusOfMind report published this year, for example, revealed that social networks can make people feel as though they are missing out while others have fun, set unrealistic expectations and create feelings of inadequacy and low self-esteem. But, of course, social media isn't going to disappear any time soon and the technology certainly has its benefits. So, with this in mind, perhaps 2018 has to be the year we consider how its negative impact can be resolved and how we can best empower young adults to use social networks in a way that protects and promotes their mental health and wellbeing. A quarter said they would not enjoy Christmas without social media.